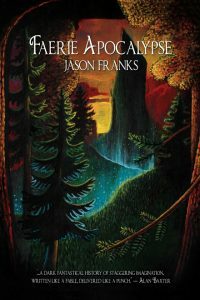 Today, Jason Franks answers five questions about his new book. For our interview, Franks is wearing a pair of classic-cut Levis that are probably Costco fakes. His black t-shirt is frayed at the collar but the Black Sabbath logo looks crisp as if it had just been printed. He hasn’t shaved in a couple of days and his glasses are smudged. He has terrible posture and a very small head. What’s the name of your latest book – and how did you choose the title? 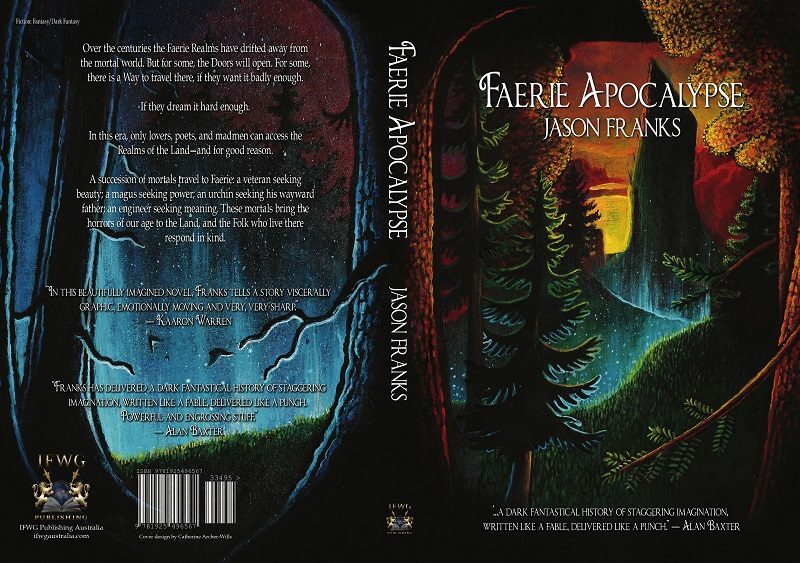 The book is called FAERIE APOCALYPSE. Originally it was going to be LOVERS, POETS AND MADMEN, which sums up the seed inspiration for the story, but does not give much of a clue as to what the book is about. So I went looking for some other options. The book is set mostly in the fairy realms and deals with the nature of the place and the people who venture there, so FAERIE seemed like an obvious place to start. I was reading about Cormac McCarthy’s Blood Meridian—a key influence on my book—and I came across the phrase ‘apocalyptic prose’. That immediately seemed to fit not just the style of my own work, but also the story. So there it was. If you could choose anyone from any time period, who would you cast as the leads in your latest book? The Veteran: Contemporary Christian Bale. Long hair, bearded, a bit haggard, a bit spaced-out. The Magus: Contact-era long-haired, crazy-eyed Jake Busey. The Warrior Queen: Carey Lowell circa 1990. Malo: A teenaged Benicio Del Toro. The Engineer: A CGI rendering of a youngish lady, designed not to stand out in a crowd. A bit pixilated and well inside the Uncanny Valley. What five words best describe your story? Dense, circuitous, violent, occulted, and reflexive. What faerie creature would you most like to meet – or be? Out of all the creatures in the book I’d most like to meet the Queen of the Ore-lands. She wouldn’t have much time for me, but she’s also less likely to try to trick, murder or eat me than any of the other characters. What song reflects a theme, character or scene in your book? The book references a number of songs quite explicitly. There’s a couple of Hendrix songs that flag key plot points. One of the monsters is a Blue Oyster Cult song given flesh. But the last part of the story is called Black Wings, after the Tom Waits song, and I think that perfectly sums it all up. Over the centuries the Faerie Realms have drifted away from the mortal world. But for some, the Doors will open. For some, there is a Way to travel there, if they want it badly enough. If they dream it hard enough. In this era, only lovers, poets, and madmen can access the Realms of the Land—and for good reason. A succession of mortals travel to Faerie: a veteran seeking beauty; a magus seeking power; an urchin seeking his wayward father; an engineer seeking meaning. These mortals bring the horrors of our age to the Land, and the Folk who live there respond in kind. 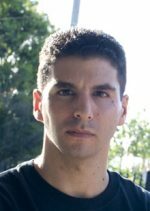 Jason Franks is the author of the novel Bloody Waters, the Sixsmiths graphic novels, and the Left Hand Path comic series. His work has been short-listed for Aurealis and Ledger Awards. He lives in Melbourne, Australia, where he is widely known as a person of low character and wicked intent. Scar Tissue – Coming Soon! Number One Fan – coming soon! Where do you get your writing ideas? Writers joke about being asked that question. However, there is genuine curiosity about how this part of writing works. Join me as I explore this topic, sharing examples of where real life inspiration has appeared in stories. Book your spot online or on (03) 9800 6489. I'll be talking about the enduring popularity of the great detective Sherlock Holmes and his biographer, Dr John Watson, exploring the elements of a quintessential Holmes story within the context of modern interpretations: whether he’s depicted as a Victorian gentleman, a 21st Century detective, a cartoon mouse, a Japanese woman, or in a loving relationship with his best friend, John Watson. Narrelle is an incredibly knowledgeable, articulate and energetic presenter. That coupled with her great sense of humour made for an extremely entertaining evening. Olivia Simaitis, Waurn Ponds Library. Subscribe to get Mortal Words posts in your inbox.